​This App has very clean and fresh color combination. The starting and login/signup page adopt gradients, which Mockplus doesn’t support temporarily. However, this has little influence in the prototyping stage. This App has very clean and fresh color combination. The starting and login/signup page adopt gradients, which Mockplus doesn’t support temporarily. However, this has little influence in the prototyping stage. 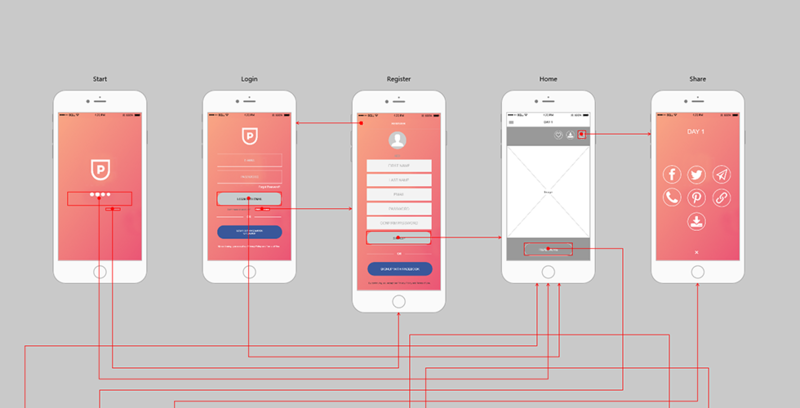 In the versions later, Mockplus will support gradients, so that the designers can make prototypes with higher fidelity, and even the later beautification work in UI design can also be achieved in Mockplus. Let’s see it! Pages of this prototype: Starting, Login/Signup, Home, Sharing and Personal Details, etc. Want the page image collection? Download here.